Why does springtime signify the packing away of skis? Must I remind you of last ski season? The best snow of the year came in April. Families who booked late ski trips were better off than those stuck at Logan waiting for their planes to de-ice so they could descend to Florida. Our family hit the slopes during the kids’ mid-April break to find every trail open at Sugarloaf and Sunday River, the only thing missing was the skiers. While the snow is often soft and deep, the lodging deals and lift tickets can be cheap. Resorts also give you reason to celebrate with fun events, even freebies, on these late season ski days. On Easter ski resorts like Ascutney, Okemo, Bretton Woods, Waterville Valley, Pats Peak, host free egg hunts on the slopes. If you are an early bird – Killington, Stowe, Smugglers, Waterville Valley and Sugarloaf open their lifts before the dawn for Easter Sunrise service. Your reward for getting out of bed is first tracks at the conclusion of the non-denominational service. 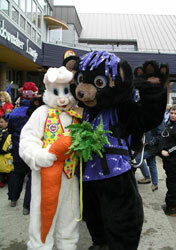 Many resorts also host Easter costume parades with prizes. Bretton Woods Learning Center quad is always free, and a sunny spring day is ideal to start your child skiing for the first time, versus freezing in February. Bretton Wood also sells an interchangeable family ticket; mom and dad can share one full-priced lift ticket – taking turns while the other gets baselodge babysitting duty. Smugglers offer free family fun races every Saturday and Sunday, you’ll need a lift ticket however, the dual race course is free from 11am-2pm, and every racer gets a prize. Whiz the course on March 16, and you can enjoy free Cabot cheese samples too. Cranapalooza is a financially feasible ski deal. For one price, you can ski, ride and tube at Cranmore from 2-9pm on Saturday nights. The terrain park is lit up, there’s a firepit for s’more roasting, magic shows, games with mascot C-More the Penguin, and live music in Zip’s Pub – for parents. Cranapalooza will be extra celebratory on March 1 as Cranmore throws its own 70th birthday party. Jiminy Peak hosts Retro Days, wear vintage outfits from the 60’s, 70’s or 80’s and pay ticket prices from those decades. Groovy! Show your kids the awesome 80’s hairstyle at Attitash’s Mullet Mogul Jam. Watch the dual format mogul competition and dance to 80’s tunes performed on an outdoor stage. The winning Mullet wins drum sticks, an autographed air guitar and a $25 gift certificate to Kentucky Fried Chicken (not bad for a bad hair day). 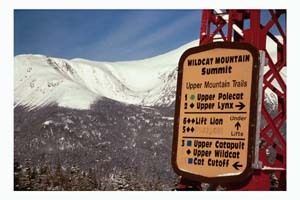 Wildcat is a spring sensation due to its high elevation. Check out their “wild deals” like the $20 ticket for skiing 12 -4pm on Sundays, or ski free on your birthday. Vail’s Spring Back to Vail is a fun time in April. Vail’s 5,000 acres of skiing are often wide open, so are the lodgings, and evenings include free concerts in the village. Okemo offers “March Midweek Madness” lodging prices followed by “Spring Fever” deals until their April closing. With Okemo’s stockpile of snowmaking and some of the best prices of the season ($29 tickets on April 9), this family-friendly resort is a good pick for a spring ski trip. One of the most animated alpine weekends at Sunday River is Spring Fest weekend in April. Kids will get a kick out of watching the pond-skimming, parents will like the slopeside margarita samples and beach music. Sugarloaf is king of spring, often the snowfields are soaked with snow and sun, while they were bitter and blustery for bigger bucks in February. While Sugarloaf’s perennial Reggaefest weekend in April sells out, the rest of April you’ll find few lines and plenty of lodging in the slopeside condominiums or the Sugarloaf Mountain Hotel. 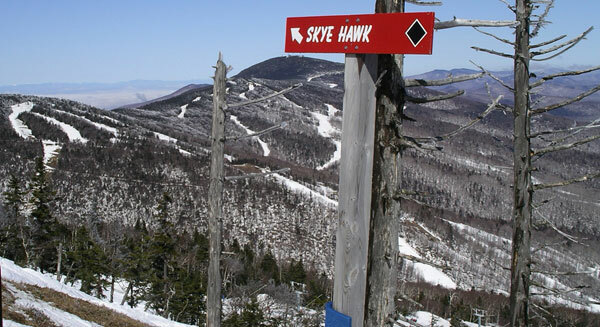 Killington is often “first to open” and last to close in May. Sure as the sunrise, Killington hosts Sunshine Daydream Festival in April, with free Ben & Jerry’s for sugar-hyper kids and Grateful Dead tunes for latent hippy parents along with Killington’s pond-skimming. Most resorts host ski suit soaking pond skimming in late March and early April. The joy of observing pond skimming seems to span all ages, so don’t discount the cheap thrill of watching spring skiers spill in icy water. Similarly Downhill Dummies and cardboard box races are a rite of spring that families should see. If you have teens that love terrain parks, you will be a very cool parent by taking them to ski resort spring flings and hike and huck where huge jumps are constructed from the season’s leftover snow. Needless to say lodging deals in late April, aka mud season, will be at their lowest, and your kids can launch higher than ever at these spring events. Deal pop up like daisies in spring, so keep a watch on ski resort websites for last minute lodging and lift ticket specials.